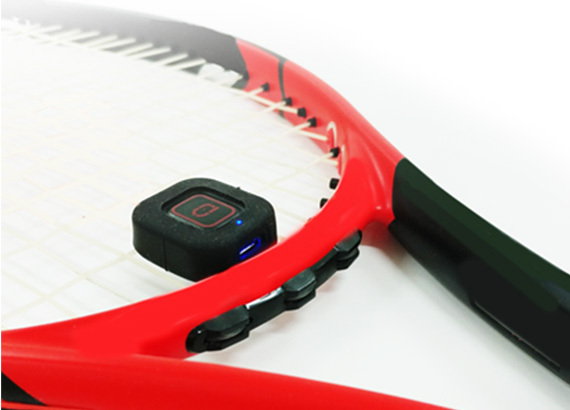 The first commercial release of tennis sensors was back in 2013 with the Babolat Play. Since then, more and more products have surfaced onto the market that try to measure every possible metric of a tennis player with the aim of improving performance. Let's have a look at what some of them are. Technology is changing the conventional ways of playing recreational and competitive sport. Inertial measurements units (IMU) sensors can be placed on the body or on sporting equipment to record information such as, velocities, accelerations and angles, that can be tracked and programmed. Many skills are needed in the game of tennis. To be able to monitor these skills for learning and development many metrics have to be recorded. Are smart tennis sensors the way to go? This article explores the market as a whole since its introduction. 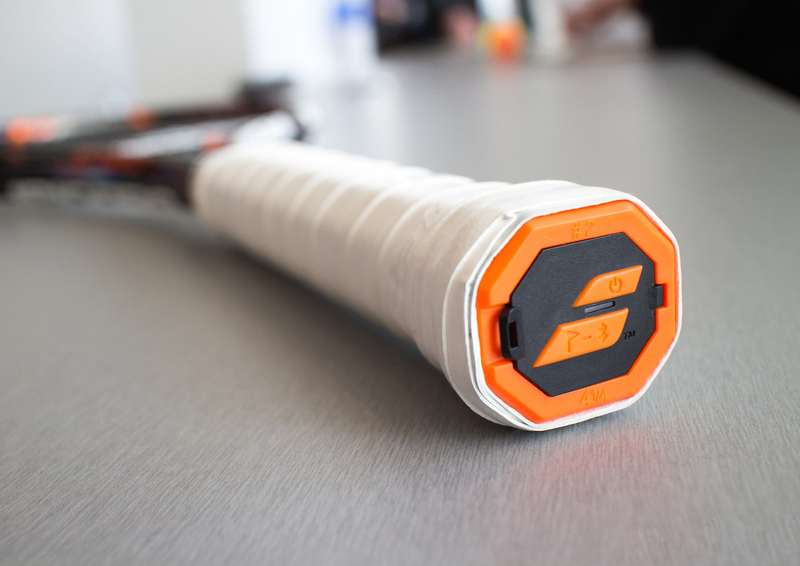 The first commercial release of tennis sensors was in 2013 with the Babolat Play. It is programmed to show specific information that could improve your tennis game: Number of shots, shot type, speed, spins etc. Since then, the rise of more competitive brands like the Sony Smart Tennis Sensor, Zepp sensor and the recent Head Tennis Sensor have shown the market grow in popularity. However, where are they located? Are these sensors useful? Are they accurate and are they practical? Let’s take a look. Where are the sensors located? 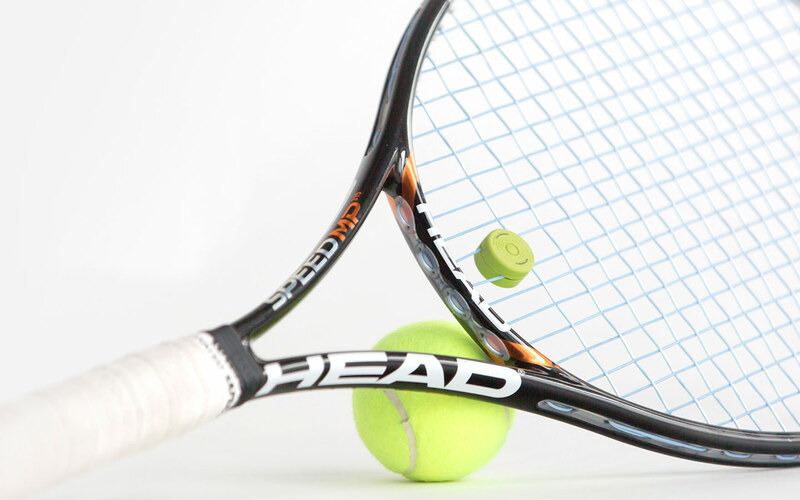 When tennis sensors first appeared on the market, some brands designed them to be mountable on the bottom of the racket. The two most popular sensors in this category were from Sony and Zepp Labs. The Sony smart tennis sensor were made to fit rackets that had a removable end cap. A mounting attachment is placed inside once the end cap is removed and the sensor sits nicely onto the mounting and secured with a simple twist. The rackets that work with the Sony smart tennis sensor include Head, Yonex, Prince and Wilson. Zepp Labs designed their sensors to fit any rackets using either a hard mount (or Pro Mount) semi-permanently stuck to the end cap, or a rubber Flex Mount that wraps around the end cap. There have been mixed reactions to attaching a sensor to the bottom of the racket handle. Some people say they hardly notice it. Some say they didn’t like it at first because they tend to hold the very bottom of their handle and they took a while to acclimatise to it. Then there are the ones who (also hold the end of the racket) felt that they were pushing on the sensor and thought it might fall off. This was especially true in the case of the Sony sensor. To address the issue or (possible) annoyance of having a sensor mounted on the handle, two Tennis racket companies went ahead to design and make rackets with sensors embedded or integrated within the handle. Babolat Play is probably the first sensor embedded tennis racket that came into the market back in 2013/14. The sensor racket comes in 3 models – pure drive, pure drive lite and pure aero. The differences between them I believe are in the designs and weight of the rackets and not the sensors themselves. Head Tennis Sensor joined the game a bit later in 2018. The sensor is not exactly embedded into the Head rackets. But Head designed a range of rackets with a slot inside the end cap of the handle so that the sensor can sit-in flush, and is practically one with the racket. From the Head website, it looks like they have over 50 rackets that can house the sensor. Another interesting thing to note is that the Head Tennis Sensor is built on Zepp Labs technology and we can see the words “Powered by Zepp” on the sensor. Another location on the racket where sensors have found themselves in is the shock or vibration dampener. The main advantage of such sensors is that it is relatively unobtrusive and more so for athletes who already use a dampener while playing/training. Qlipp is one such tennis sensor that also acts as a dampener. They first came about through crowdfunding (on Indiegogo) and were successfully funded in 2015. The sensor can be attached (or Qlipped) onto the strings and secured with their patented “twist and lock” design. Courtmatics is another similar product. The most obvious difference (to Qlipp) other than it being round is that it doesn’t have any special mounting mechanism and it is attached the same way as a regular vibration dampener – by pulling two strings (in the middle) apart to make room for the sensor to slide in. Also, something worth noting is that these sensors were designed to withstand direct impacts of tennis balls even at high speeds. For athletes who like to swap rackets often and/or don’t like to have to move sensors from racket to racket, or they simply don’t like to have any extra bits on their rackets, then they could consider having the sensor on themselves. Assuming the wearable sensor is worn consistently the same way and at the same spot, they should get consistent and comparable data. Smash Wearables developed a wrist band sensor called Smash. They first launched on Kickstarter and unfortunately they didn’t quite cross the hurdle. Essentially, the band is worn on an athlete’s dominant wrist/arm or the side that holds the racket most of the time. It has a very unique design and the green led (coincidentally) kinda reminds me of hulk smash. Then there’s Babolat Pop, which interestingly, came out as a product after Babolat Play. Our guess is Babolat wanted to give athletes more tracking options. But basically, it is a also a wrist band sensor except the sensor (or IMU) unit is a removable device that can be ‘popped’ into an adjustable wrist band. The last wearable in this category is the Pivot Tennis wearable by TuringSense. They too went through crowdfunding on Indiegogo and were funded in 2015/16. Throughout their campaign, they seemed to have gone through a couple of design iterations. But in essence, they are a set of 5 (or more) motion sensors (IMUs) that can be worn by an athlete during training or play. The sensors are strapped on the athlete’s limbs near the joints (eg wrist, elbow, knee, ankle) and it captures all the movements of the athlete. It is a lot like other wearable motion capture systems such as Notch or Xsens or Perception Neuron. What do the sensors track? It is great to gain all this information, although a few questions and queries have come up since then, with accuracy being questioned the most. The sensors are great at telling information like the number of shots hit, however accuracy tends to be upheld when it comes to recording speed. It knows the ballpark figure but some sensors do have a massive tolerance. As a whole, this is where the market is questioned the most and is dependent on the player’s ability level. Some of the sensors are quite bulky, getting in a player’s way when swinging; and add weight (~8grams) to the racket and/or the player. For advanced players, this is quite fidgety and could affect their natural stroke and technique. Though on an intermediate level where a player is constantly learning, this can help improve their game. This is especially true in cases where players don’t always train with their coach; the metrics and analysis from the sensors and apps provides some objective feedback or at least the coach could remotely monitor. A funny video about how motion sensors can improve player (from TuringSense). Sensors on sporting equipment will continually rise as long as their accuracy is matched. The sensors have to be unobtrusive and as light as possible. It should be noted that metrics may end up even being tracked solely by camera in the future (possibly just on a smart phone). The internet of things could help further push this in popularity. The ability to track almost anything and then being able to review information with others is powerful. Can the racket sensor talk with the ball sensor? Can the sensors detect weakness in opponents shots and angles? These can shape the way we think on a day to day basis. As a recommendation, we would say smart tennis sensors might suit beginners and mainly intermediate players looking to improve. Most of the products and features feels more like a gimmick for now. It could be part of the reason why some of the products mentioned above are no longer available in the market. However with the continual growth of the sensor market the popularity and frequency could follow; and with more field testing and input from coaches, future sensors/products could become more productive. If you have experience using one or some of the tennis sensors above, feel free to leave a comment about your experience. Or if you know of a really good and productive tennis sensor product, we would love to hear from you too!